STOP Electronic pickpockets & cyber scanners ! The Holiday season is rife with digital and electronic theft, with some thieves using mobile phones to steal data. The good news is that Shield Cards® LLC is currently manufacturing a new method of protection that does not necessitate replacing the user's wallet or passport holder. How much is peace of mind worth to you and your loved ones? 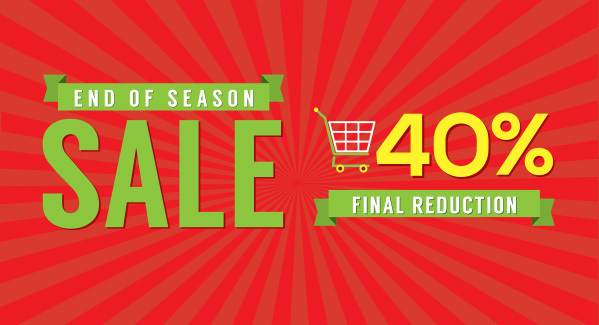 Buy Shield cards® for yourself and your family to protect all our cards. Passport Shields are lightweight, economical, and can fit into any passport holder, keeping it safe from remote pickpockets preying on harried travelers. 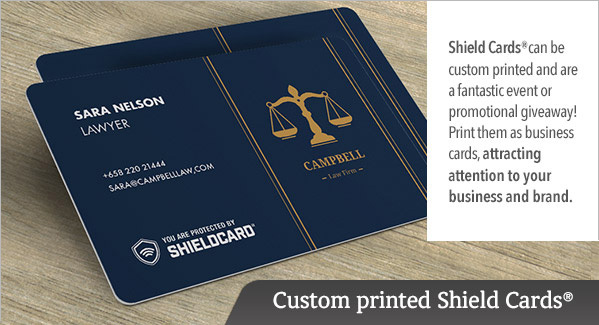 Shield Cards® are lightweight, economical, and can fit in any wallet or card carrier. It prevents reading of RFID chips, which are currently embedded in almost all cards. Shield Cards® LLC Produces RFID Card and Passport Protectors to Thwart Electronic Pickpockets and Cyber Scanners. 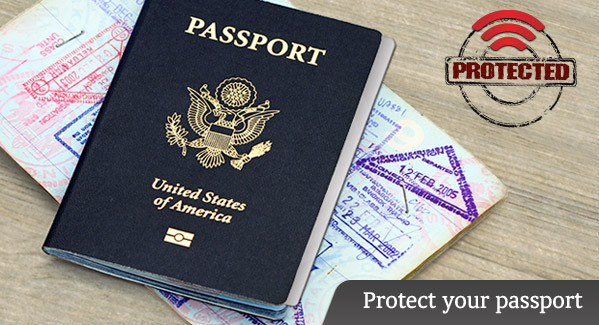 Shield Cards® LLC is currently manufacturing a new method of protection that does not necessitate replacing the user's wallet or passport holder. Shield Cards® are lightweight, economical, and can fit in any wallet or card carrier. Many people are unaware that smart cards, credit cards, ATM cards, access cards, drivers' licenses, and passports can be scanned from a distance, resulting in identity theft and credit card fraud. By simply placing two credit card-sized cards in either side of a wallet, the contents will be covered by an electromagnetically opaque shield. 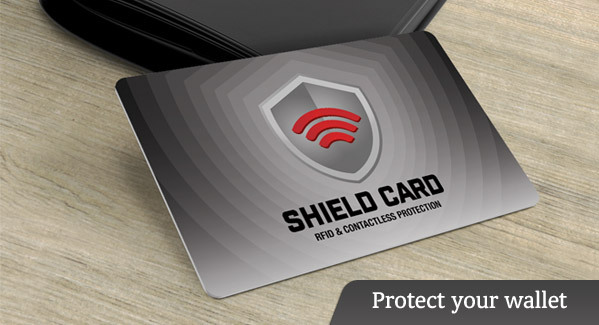 The RFID protector on the Shield Card® blocks radio waves and prevents remote scanning. *RFID protection has been found to be effective, however Shield Cards®, LLC makes no warranties of any kind, either express or implied.